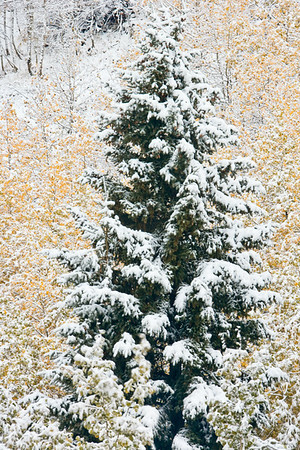 Spruce tree flocked with snow and flanked by yellow Aspen fall colors on McClure Pass between Redstone and Paonia, Colorado. 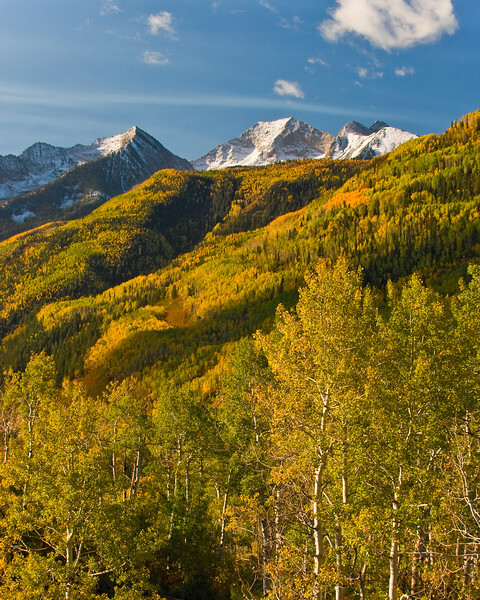 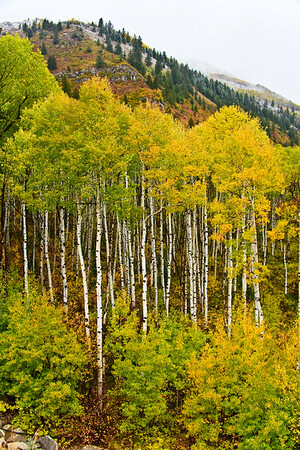 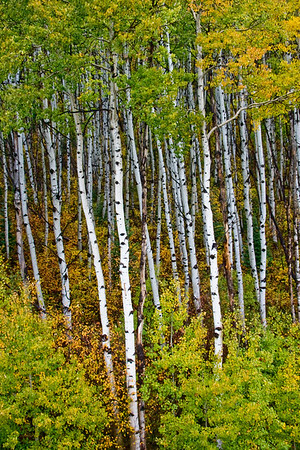 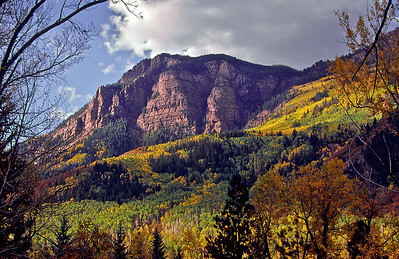 An armada of fall Aspen flanked by red Scrub Oak, above the Crystal River between Redstone and Paonia, Colorado. 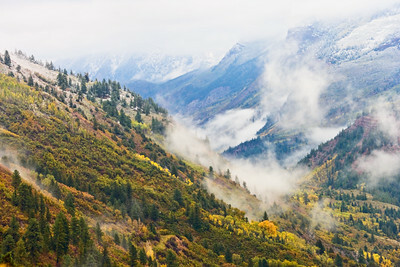 Morning light dances across changing Aspen and Scrub Oak at McClure Pass between Carbondale and Paonia. 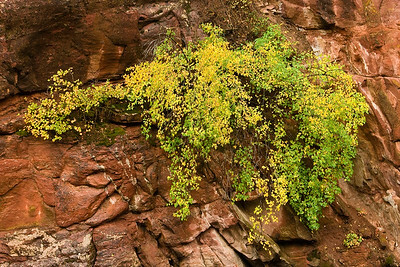 Golden Aspen and Spruce cling to the side of the canyon to form a natural rock garden above the Crystal River between Carbondale and McClure Pass. 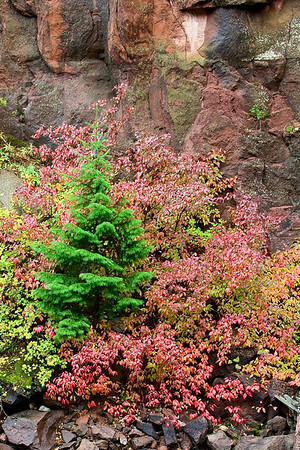 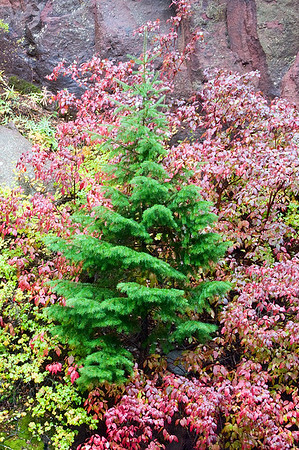 Scarlet ground cover and a delicate Spruce form a natural rock garden along the Crystal River between Carbondale and McClure Pass. 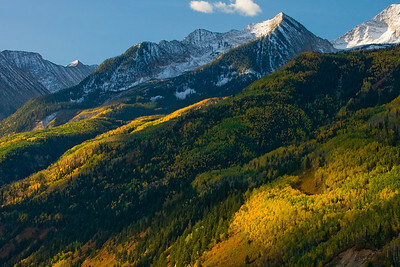 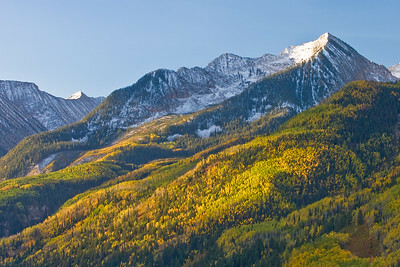 Early morning sun delicately accentuates fall colors on McClure Pass between Carbondale and Paonia, Colorado. 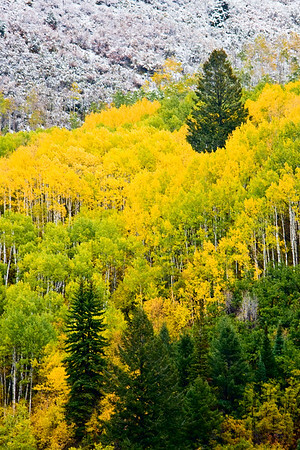 An armada of fall Aspen above the Crystal River between Redstone and Paonia, Colorado. 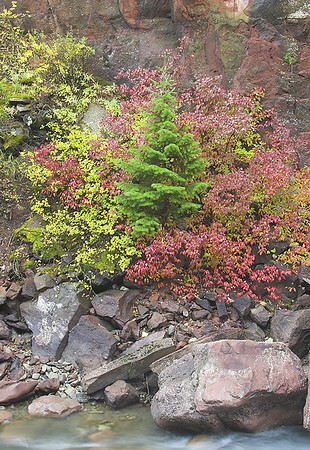 Rock garden along the Crystal River between Carbondale and McClure Pass. 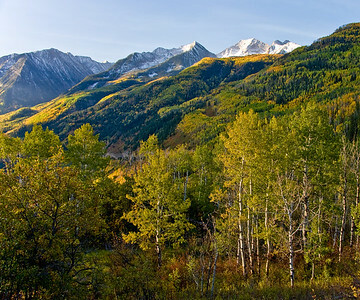 Golden Aspen and vibrant Spruce form a natural rock garden along the Crystal River between Carbondale and McClure Pass. 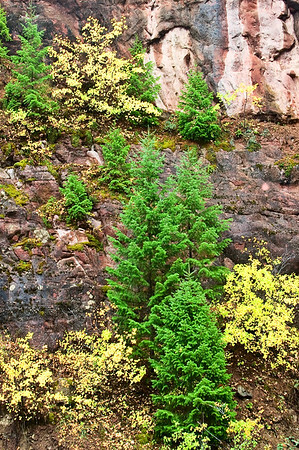 Golden Aspen and a delicate Spruce form a natural rock garden along the Crystal River between Carbondale and McClure Pass. 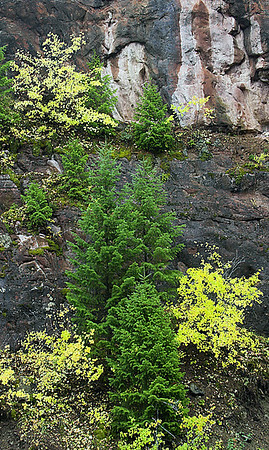 Golden Aspen and a delicate Spruce form a natural rock garden above the Crystal River between Carbondale and McClure Pass. 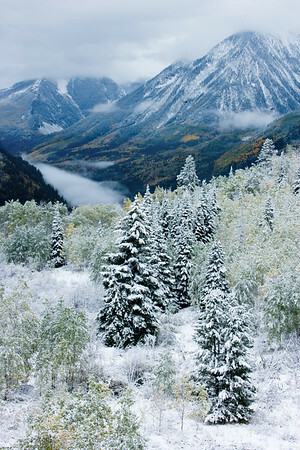 Below the snow line, Aspen and Spruce trees above the Crystal River between Redstone and Paonia, Colorado. 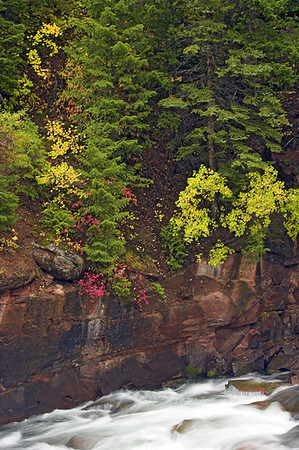 Clinging to the canyon wall, a colorful display along the Crystal River between Carbondale and McClure Pass. 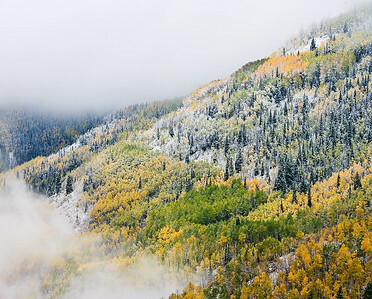 From McClure Pass, early snow and clearing clouds rise above changing Aspen and Scrub Oak near the Crystal River between Redstone and Paonia, Colorado. 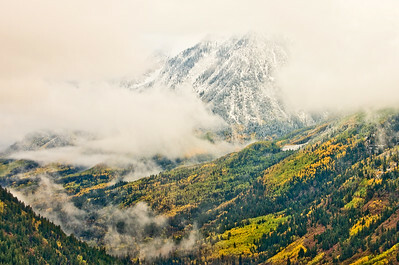 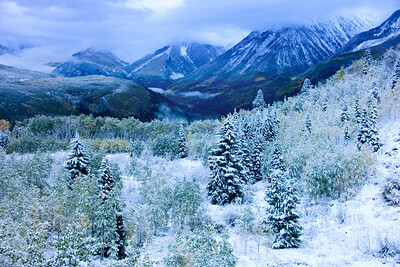 From McClure Pass, early snow and clearing clouds float above the Crystal River between Redstone and Paonia, Colorado. 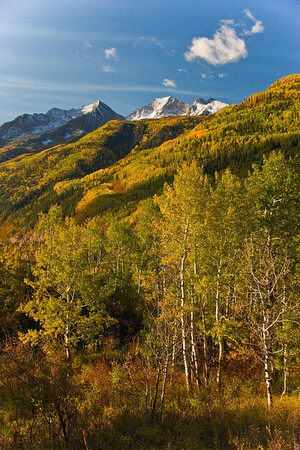 Dappled evening light and fall colors create a vibrant spectacle on McClure Pass between Carbondale and Paonia.